Do you need a re-boot? If you want to truly feed your soul, there is simply no better place than the tropical paradise of a Private Villa in Bali. And if its' privacy and a little luxury you crave, this Private Health Retreat is for you. The Create Escape is offering a specially designed health re-boot package for you and two friends or two couples where you will recharge, re-invigorate and rediscover yourselves over these wonderful days – all in the privacy of your own large two story, two bedroom villa nestled in a quiet lane in Ubud. Villa Kendi is a private luxury home, not a large resort, making this opportunity truly unique. This is a one-off package designed to tap into the individual needs of guests and showcase the incredible talents of our health and nutrition gurus who will work with you daily at the Villa, ensuring you truly master the art of relaxation, and joy. What could be more wonderful? A holiday with healing and good feeling! Start your day at 7am with yoga at the Villa. We do not expect you to be a super yogi or a flexible noodle, this class is ideal for the beginner. 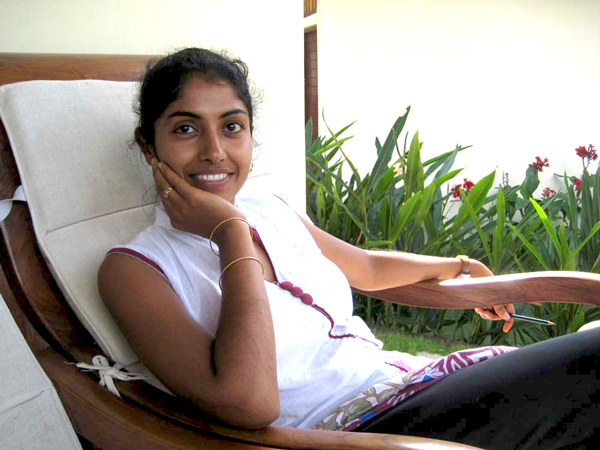 Our teacher, Estee specializes in Beginner and Yin Yoga and will be totally there to assist you. If you are a more advanced yoga practitioner Estee can also help you put life back into your practice. A Massage with Wayan every day. Wayan has magic hands and she knows exactly where your body needs to be ironed out. Massages will be conducted at the Villa meaning all you need to do afterwards is walk blissfully ten steps to the pool and your waiting juice or ice water. Guests have raved they have received the best massage of their lives at the hands of Wayan, and we all agree at The Create Escape, Wayan is simply the best! Breakfast daily is prepared by our villa staff and will be served after yoga. Lunch will be delivered by our local health food specialists, dinner can also be delivered if choose. Alternatively Ubud is a food mecca where all varieties of food can be enjoyed at night. There are many wonderful restaurants located only a short stroll away from Villa Kendi too. Our Villa manager and driver, Gusti, will deliver you to your pre-arranged* appointment at the Ayurveda Clinic. * Ayurveda treatments are optional and your initial consultation will need to be pre-booked with us a minimum of 3 weeks prior to your stay. After breakfast Gusti, our Villa Manager and Driver, will take you out to the visit the High Priestess, Ida, and her sacred Temple. The Priestess is revered by the locals as a healer and people flock from near and far villages to pay respects and receive a water cleanse to heal both mental and physical ailments. See video of a visit to Ida. The cost includes all accommodation, airport transfers and yoga, 3 x 1hr massages at the villa, breakfasts and lunches. Ayurveda Treatments are optional and the Cost of Treatments and Transport to at the Centre are an additional cost. The Cost is calculated for a minimum of 3 people. If you are 2 singles requiring a room each, a small single supplement applies. Book now to get an early bird discount. EveryBody can do yoga because everybody can choose to breathe in a way that cultivates health, radiance, and transformation. The desired outcome of this class is to support yoga beginners and re-starters to fully own their practice. Learn to listen, express, and play on your mat through basic breathing practice, poses, mantras (chant), and mudras (hand gestures). Experience these practical fundamentals as a growing conversation with the Chakra System (energy centers) and discover the joy of breathing in movement and stillness while connecting with how we move in the world. Get a grip of yourself! Well that is what Estee has done! Estee began her yoga journey in 2003 through the help of a back injury. Her desired outcome is to support first-time yogis kick-off their yoga journeys through cultivating clarity, fascination, and confidence. Estee’s classes, privates, and workshops are dedicated to yoga beginners, encompassing Hatha and Yin practices as a means to converse with the Chakra System and awaken to the Inner Teacher. She is currently enraptured by breathing through the nose in asanas; chanting mantras; practicing mudras, and studying the chakras. In Ubud, she is also often found singing, dancing, writing, eating, and project-making. Your own private villa. Gorgeous sunny and fresh rooms in this new and spacious centrally located Villa in Ubud. A quiet sanctuary that is situated within easy walking distance to the Palace, Markets, Monkey Forest and plenty of restaurants. It can inspire you to follow a healthy daily routine that will give you clarity, strength and balance for your day. It can improve your health and well-being. It can help people who suffer from illnesses, discomfort and/or imbalances. It can help with or cure sleeping disorders, diabetes, high/low blood pressure, arthritis and other long term health problems. It can support and speed up rehabilitation after illness, injury, surgery or accidents. It can offer assistance for women who are seeking prenatal and postnatal care. We can work with you on stress relief, weight management, rejuvenation and detox. A certified Ayurvedic doctor (B.A.M.S), who completed her degree in Karnataka, India, Dr. Kekada has worked as Ayurvedic Doctor in one of the most respected and successful clinics in Kerala, South India. She has also practiced as a consultant in Europe and at one of the top health retreats in Asia. Does this little reboot holiday sound great but the dates don't work for you? Contact us and let us know dates that WILL work for you and we can make it happen.>> Contact us. A visit to High Priestess, Ida or a special half day at the Water Temple. Private Villa situated in Central Ubud surrounded by lush garden and swimming pool. -Tour to visit a High Priestess or Water Temple. Small group of up to 5 people. Ideal for group of friends- 2 couples or 3 singles. It is easy to book. Just click the link below and it will take you to the booking form.